The School of Divinity partners with local and national organizations and community efforts to create opportunities for mutual learning and critical dialogue, including student internships and various forms of mentoring, consultation, community education, and shared advocacy. A tax-exempt nonprofit organization under Section 501(c)(3) of the Internal Revenue Code, Interfaith Winston-Salem is an all-volunteer educational group that brings together members of many faith traditions – religious and non-religious – to gain a greater understanding of and respect for each other’s traditions. As we better understand other traditions, we hope to develop a deeper appreciation for our own that will manifest itself in active goodwill to other individuals and to the community as a whole. Training Leaders for the Hispanic Church, the Hispanic Summer Program supplements and enriches the theological and ministerial education being offered in ATS seminaries and universities, with academic courses and other activities directly addressing Latinx history, ministry, and theology. As an ecumenical program, it seeks to heal the divisions in the Latinx community fueled by denominational and theological differences. As a Latinx program, the HSP tries to find ways to restore connections and build bridges between Latinx and non-Latinx – among others by enhancing the awareness and appreciation that non-Latinx scholars, ministers, and administrators have of Latinx contributions to the past, present, and future of our churches and our nation. The Appalachian Ministries Educational Resource Center (AMERC) was founded in 1985 by Dr. Mary Lee Daugherty. AMERC enables the training of persons for Christian leadership in Appalachia and similar rural and urban settings through funding, resourcing and consultation. Prior to 2000, AMERC conducted travel seminars and summer courses based out of its office in Berea, Kentucky. Courses are now organized by AMERC consortium member schools who receive grant funding from AMERC. Seminars sponsored by AMERC have focused on issues such as small church pastoring, religious and social contexts of Appalachia, economic systems of rural America, community development, and living in healthy balance with the land. AMERC is the largest consortial effort in the history of theological education in the United States. Students in AMERC-sponsored courses have represented 52 denominations, including Protestants, Catholics, and Eastern Orthodox Christians. Over 2,300 students have received training through AMERC programs or funding. The ecumenical emphasis of AMERC has been and continues to be critical to its success. Lilly Endowment, Inc.’s primary aim in religion is to deepen and enrich the religious lives of American Christians, principally by supporting efforts that enhance the vitality of congregations. We seek to ensure that congregations have a steady stream of wise, faithful and well-prepared leaders. We also support efforts that help Christians draw on the wisdom of their theological traditions as they strive to understand and respond to contemporary challenges and live their faith more fully. In addition, we work to foster public understanding about religion and help lift up in fair and accurate ways the contributions that people of diverse religious faiths make to our greater civic well-being. 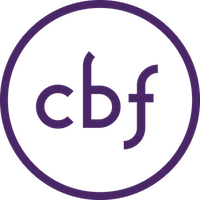 The Cooperative Baptist Fellowship is a Christian network of individuals and churches working together to spread the hope of Christ. Our diverse community includes partners all over the globe, and our fellowship supports a wide range of missions and ministries that give people meaningful opportunities to put their faith into action. FaithHealth improves health by getting people to the right door at the right time, ready to be treated, not alone. FaithHealth is dynamic partnerships between faith communities, health systems and other providers focused on improving health. The partnerships combine the caring strengths of congregations, the clinical expertise of health providers and a network of community resources. Partners are linked in a shared mission of healing. FaithHealth staff, as well as volunteers from congregations and the community, offer health care ministries to anyone in their community who is in need. They provide support before, during and after hospitalization. They make home visits, provide emotional and spiritual support, and help with meals, transportation, medications and other needs. They also hold educational events on preventive health and wellness. The North Carolina Council of Churches was founded in 1935. We are a statewide ecumenical organization promoting Christian unity and working towards a more just society. We are comprised of 26 distinct judicatories from 18 denominations. Across the state, our members have over 6,200 congregations with about 1.5 million congregants. The Council enables denominations, congregations, and people of faith to impact our state on issues such as economic justice and development, human well-being, equality, compassion and peace, following the example and mission of Jesus Christ. While the Council is itself overtly Christian, many of the committees and task groups are interfaith, including members from non-Christian faith communities. Several committees also include members of Christian denominations which are not part of the Council of Churches. Through this work, we live our motto: Strength in Unity, Peace through Justice. We as Salem Presbytery strive: to be a visible witness to Jesus Christ, REACH; to equip and strengthen our congregations and leaders for ministry in the world, EQUIP; and to inspire and model local and global mission, SEND. The Moravian Church has stood for basic religious principles for more than 500 years. Through these years the church has often put into written form the precepts of its faith and practice in what is known as the Covenant for Christian Living. Moravians recognize the example of Christ’s life and proclaim that Jesus Christ is Lord. Living the Christian life depends not only on our own effort, but upon God our Father, who in Jesus Christ accepts us as heirs of God and strengthens and sustains us. A strong commitment to a biblical faith inherited from the ancient Unitas Fratrum and a zeal for mission work that came with the eighteenth century renewal of the church remain as hallmarks of the Moravian Church today. Education, worship, mission activity, social reforms, ecumenical cooperation, parish life and a rich musical heritage form the center of much of the Moravian Church’s work both in North America and around the world. Seeking to improve the lives of individuals and communities by helping meet the basic needs of nutrition and educational opportunity, The Corella and Bertram F. Bonner Foundation is a small family funded foundation and nonprofit organization. Our work and approach are not conventional. Rather than focus on short-term initiatives and grants for individual projects, we work as a national network and community of practice to advance higher education through its engagement within communities. Since 1990, we have built and sustained partnerships with colleges and universities to foster the deep integration of college access, diversity and inclusion, and student success with community engagement and learning. We see ourselves as an organization that provides research and development for the civic engagement field, in ways that promote its depth, sustainability, and value to colleges and communities. Crossnore School & Children’s Home is non-profit residential foster care home for children in crisis from North Carolina. Crossnore School & Children’s Home is a non-profit 501(c)3 organization providing residential foster care for children in crisis from North Carolina. With three locations – one nestled on 86 acres in the beautiful Blue Ridge Mountain town of Crossnore, NC, the second located on 212 acres on the edge of downtown Winston-Salem, NC, and the third in the historic district of downtown Hendersonville, NC — we are committed to providing a sanctuary of hope and healing for children. Crossnore School & Children’s Home offers a holistic approach to treating the whole child emotionally, physically, mentally and spiritually. Crossnore’s theory of change model is unique to the organization.